At the crossroads of comparative physiology and basic neuroscience, the Pamenter Lab is focused on the study and exploitation of naturally evolved mechanisms of hypoxia-tolerance in the brain. By examining both proactive and reactive responses to low oxygen stress in the brains of hypoxia-tolerant and –intolerant species (respectively), we seek to understand the synaptic, cellular, and systemic adaptations that allow some species to tolerate acute or prolonged low oxygen stress, whereas others suffer rapid cellular and whole organism death. Advancing our knowledge in this area will allow us to develop a deeper understanding of pure biological questions related to the control and evolution of systemic responses to hypoxia. In addition, it may also provide an applied translational benefit by informing the development of novel strategies and therapeutics to treat pathologies related to hypoxia, such as ischemic stroke and chronic pulmonary disorders. 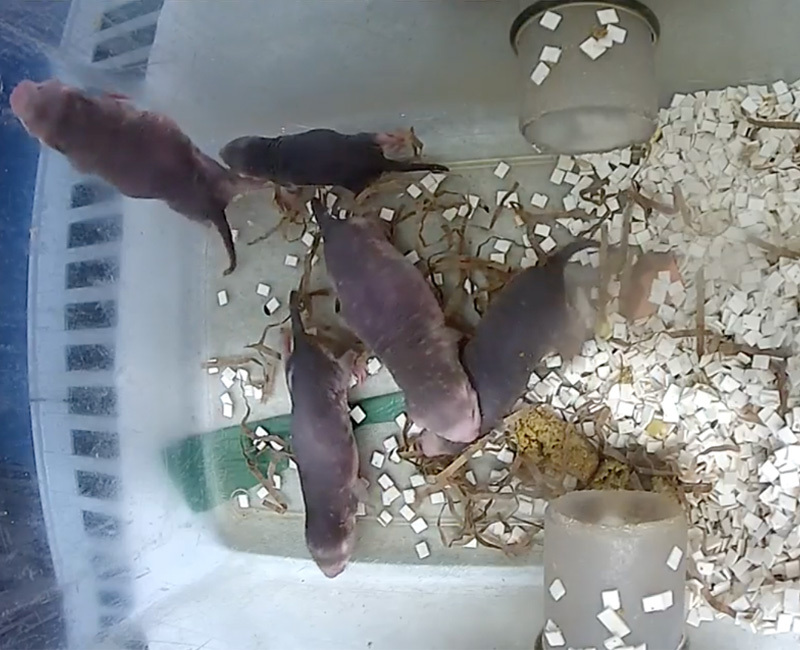 The Pamenter Lab has setup up HD cameras on the cage of our naked mole rats and are streaming video so others can see what goes on in the secret lives of naked mole rats. Click here to access live video footage of Pamenter Lab naked mole rats.